I don't know about you, but I really enjoy creating holiday inspired crafts. 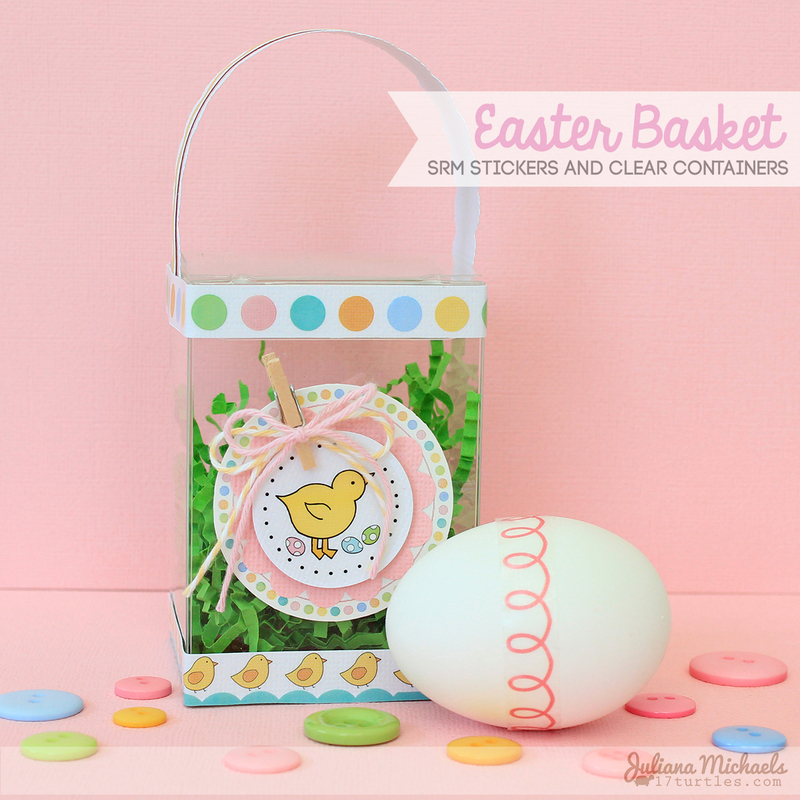 Recently, I was trying to come up with an idea for an Easter themed project when the idea of using an SRM Stickers clear rectangle box to make a mini Easter basket popped into my mind. I knew some SRM stickers and Twinery twine would be perfect to decorate it with too! And even better, I was pleased to find out that a decorated Easter egg fits perfectly inside the box. Whether you fill it with a decorated Easter egg or your favorite Easter candy, it is sure to put a smile on someone's face when they receive this little gift! To see more details about my mini Easter basket and for the full supply list, please visit the SRM Stickers blog! So adorable. Need to make one of these! This is so adorable, Juliana! So creative and fun! Sooooooooooo cute!! I loveeeeeeee it!!! !